Taipei, April 7 (CNA) Taiwan protested Tuesday Japan's inclusion in new school textbooks that a group of disputed islands in the East China Sea belong to Japan, while reiterating the Republic of China's sovereignty over the island chain. Anna Kao (高安), spokeswoman of the Ministry of Foreign Affairs, expressed the country's "stern protest" over Japan's move to include the Diaoyutai Islands (known in Japan as the Senkakus) off Taiwan into its textbooks. The government will also make a serious protest through diplomatic channels to Japan over the issue, she added. Kao reiterated that the Diaoyutais are part of ROC territory, a fact that will not be changed by any unilateral move by Japan. She also said that the ROC will adhere to the principles of safeguarding ROC sovereignty, shelving differences and seeking cooperation on resource development in the region through dialogue, in addressing territorial disputes over the islands. Her remarks came in response to news that all middle-school social studies textbooks in Japan will refer to the Senkaku Islands and Takeshima as Japanese territory. In line with Japanese government guidelines announced in 2014, the new textbooks will become part of curricula at schools nationwide next spring, Japanese media reported Tuesday. 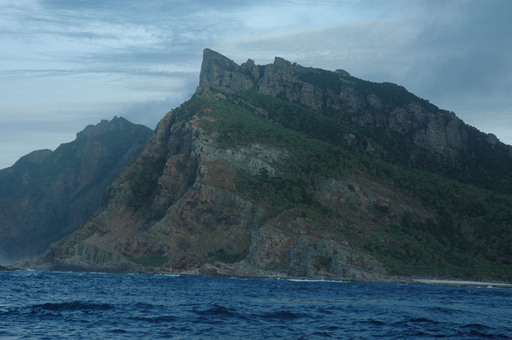 Meanwhile, the Takeshima island chain, called the Dokdo by South Korea, is at the center of a territorial dispute between Tokyo and Seoul.